Most people can appreciate the story behind an upcycled dress or a pair of fair-trade sneakers, but that doesn’t mean they’re willing to pay extra for it. They will, however, loosen their pursestrings, for style, quality, availability and choice, and value for money, according to Verdict, a retail analysis firm based in London. Verdict data reveals that while 60 percent of consumers say a retailer’s sustainability credentials contribute to their purchase decisions, only 15 percent say they would boycott a retailer for not being forthcoming about its policies. Furthermore, over 20 percent of consumers said they wouldn’t pay any more for an eco-friendly or sustainable product. Only 3 percent said they would pay more than 21 percent more than usual for clothing or shoes that were ethically made. 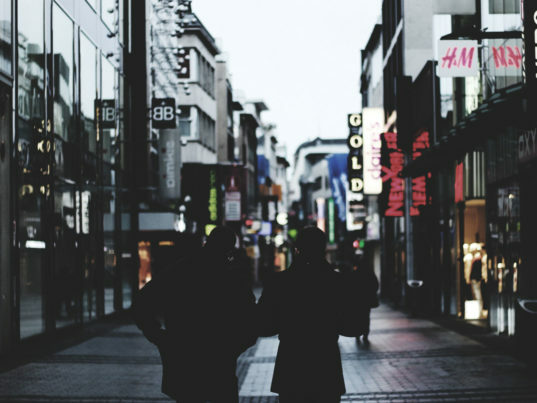 For apparel brands, this makes the issue of investing in ethical policies a more nuanced one, said associate analyst Sarah Johns. “Consumers demand style, range, quality and value for money alongside ethical credentials,” Johns said. For customers whose pocketbooks are increasingly squeezed, the “lure” of sustainable produced clothing and shoes alone isn’t enough for them to pay a premium, Johns said. “Consumers demand style, range, quality and value for money alongside ethical credentials, as evidenced by the fact that the clear winners in the sustainability stakes are collections such as H&M Conscious, Topshop Reclaim, and ASOS Africa which put style at the forefront of their proposition along with sustainable credentials,” she said. If higher prices on sustainable goods are unavoidable due to more expensive supply-chain operations, Johns said retailers must justify the cost with value-added design, innovation, or quality. That doesn’t mean that a company’s integrity—or lack thereof—can’t make or break its reputation. To illustrate her point, Johns brought up Sports Direct, a sporting-goods chain whose treatment of workers has been compared to a “Victorian workhouse” by British lawmakers. When the allegations were made public, Johns said that Sports Direct experienced 0.8 percent dip in retail sales, compared with a 7.4 percent rise the year before, as shoppers flocked to competitors such as JD Sports and Footlocker, instead.